We all love the luxury of a custom walk-in wardrobe. Besides providing a unique customized space where you can dress, you can enjoy the convenience of the latest trending closet organizer systems. What do you need to consider when installing a custom walk-in closet? Let’s find out! Why do you want to install your walk-in wardrobe professionally? Unless your home comes with a modern closet already equipped with the latest in closet organizer systems, you most likely will need to either renovate the space extensively. Even if you have a walk-in closet, you will benefit from the expert advice of an experienced designer who will help you make the most of your space. 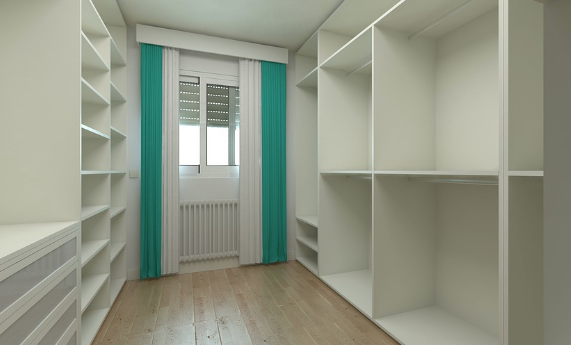 The size of the closet will determine the cost, as well as what type of system you opt for. A larger closet that has to be reconstructed in an older home may cost more than simply installing a professional organization system in a ready-made closet. Some systems will cost you around one thousand dollars, but expect higher costs for more high-end options. On average, renovation will cost a few thousand dollars for the closet and the system. Speak with your designer about your unique needs. For example, do you need his and hers closets or will the wardrobe be for a single individual? Do you want to equip the closet with space to dress and possibly a vanity area? Do you need to accommodate an extensive shoe collection or a wide array of suits? Speak to the designer about your specific needs and she will help you decide on the system that fits your needs best. The walk-in wardrobe is typically right off of the master bedroom both for convenience and aesthetics. Many homeowners install a vanity, mirrors, and other options to increase the use of the space. Custom lighting can make a drab dark space into a vibrant place of solace and luxury. Speak with our closet professionals today about how we can help you design the perfect walk-in-wardrobe.